Save Marinwood-Lucas Valley - our community, our future: Biochar: Black Gold or Just Another Snake Oil Scheme? In an interview with Naomi Klein, published in the Autumn 2013 issue of Earth Island Journal, she referred to the American fondness for “win-win solutions.” I had to giggle, having on many occasions sat in on industry-led events, where the speakers, wildly animated, blather on about their latest “win-win-win” technofix, certain to resolve everything that ails humanity, from climate change to poverty, to deforestation to toxic pollution to nuclear waste. Who could be against such hopeful, all-in-one miracle cures? Perhaps only the skeptics who know the smell of snake oil. Which, I guess, includes me. tens, hundreds or even thousands of years. I came to such deep skepticism not by nature but from years of experience. 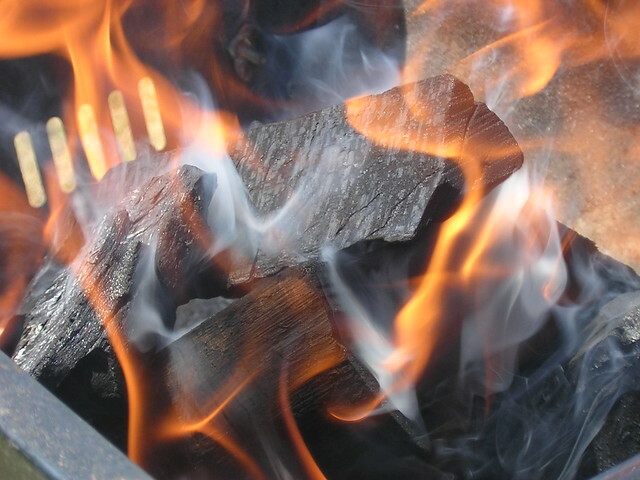 One formative experience has been following the hype around biochar. Biochar enthusiasts are a hopeful bunch. They claim that charred biomass will be a win for climate, a win for soils and crop yields, hence a win against hunger and poverty, and a win for renewable energy generation. They are convinced that burning “biomass,” that is, trees, crop residues, animal manure or what have you, (some even advocate burning garbage or tires), could solve our energy, food, and climate woes. The first key “win” of biochar, proponents say, is that if buried in the ground, the char, which consists largely of carbon, will more or less permanently “sequester” that carbon and therefore help to cleanse the atmosphere. In an article published in the journal, Nature, some of the leading biochar enthusiasts claimed that it could offset global greenhouse gas emissions by a whopping 12 percent annually. All that would be required is collecting most forest and agriculture residues and animal manures from across the globe, as well as converting over half a billion hectares (an area larger than India) of land to producing dedicated burnable crops. After collecting it, the biomass would be transported to pyrolysis facilities, burned, then the char would be collected and transported back around the globe where it would be tilled and buried into soils over millions of acres. Year after year. The problem with this idea isn’t just the massive scale of the project, for which there seems little social or political will. It is even more fundamental: There is really little basis for assuming that biochar carbon really will store carbon reliably in soils. A Biofuelwatch review of peer-reviewed field trials as of 2011 showed some remarkably unimpressive results. We only looked at peer-reviewed field trials in order to distinguish clearly between hype and actual results, and to discern how biochar acts in the real world, with living biodiverse soils, rather than sterile, laboratory conditions. Field trails proved rare; only five such studies were found, which between them tested biochar on 11 different combinations of soil and vegetation. In only three cases did biochar result in any additional carbon sequestration. In most cases, there was either no measurable difference in soil carbon, or even a reduction in soil carbon. These results from short-term studies —none spanned more than four years — fly in the face of repeated claims that biochar will sequester carbon in soils for tens, hundreds or even thousands of years. More recently, two important reviews (you can read themhere and here) of soil carbon showed that the stability of soil carbon is not so much determined by the molecular structure of the carbon itself, but rather by surrounding soil ecosystem properties. That makes reliable carbon storage very difficult to predict or assume. Win number two, biochar enthusiasts claim, is that biochar will also improve the quality of the soil and hence improve crop yields, thereby help reduce desertification, deforestation, hunger, and poverty. Again, Biofuelwatch’sreview of peer reviewed field trials showed unimpressive and erratic results. Since then, a recent synthesis review of impact on crop yields found that in half of published studies, there was either no effect whatsoever on crop yields, or biochar actually reduced yields. The third win, according to advocates, is generating renewable electricity and heat during pyrolysis. But so far, virtually all biochar has been produced without doing so. That’s because pyrolysis is difficult to control and remains largely unproven for commercial application. Another reason is the inherent trade off: If you want more biochar less biomass will be converted to heat and power, and vice versa. None of these trial results have dampened the hopes of biochar enthusiasts, who still see wins everywhere they look. They continue to promote biochar as a means to reduce fertilizer demand, agricultural runoff, clean up waste water, reclaim mine sites, and offset fossil fuel pollution. Some have even advocated feeding it to cows to make them emit less gas, and one company even claims that biochar will make it possible for consumers to reduce greenhouse gas emissions even while driving big gas-guzzling cars. (see below). In her Journal interview Klien also spoke about climate geoengineering, which she referred to as a proverbial “escape hatch” providing a way to avoid the consequences of our failure to reduce greenhouse gas emissions. This is indeed one of the most perilous hazards of the geoengineering mindset. Widespread doubts about geoengineering have resulted in a push to accept “more benign” technologies, including large-scale biochar and bioenergy with carbon capture and storage (BECCS). Both biochar and BECCS require burning lots of biomass — trees and crops, as well as municipal solid waste. Staggering quantities would have to be harvested and burned to have any measureable impact on the global atmosphere. Studies have shown that capturing just one billion tonnes of carbon per year would require conversion of up to 990 million hectares of land to plantations. The consequences for land, water, soils, biodiversity, would very likely render the treatment worse than the disease. What is already painfully evident is that demand for biomass, even at the current smaller scale is already stripping Earth of her remaining biodiverse ecosystems, and replacing them with industrial, chemically-dependent monoculture deserts. Another article in the Journal’s recent issue, “Modified Stands,” talks about the push for genetically engineered trees. The impetus behind GE trees is a projected dramatic increase in demand for wood, in large part for bioenergy. This demand is a result of subsidies and supports for renewable energy that fail to distinguish between the kind of renewable energy that requires constant inputs of fuel (wood etc) and combustion, and the kind that does not. The lion’s share of subsidies and supports has gone to bioenergy, including biofuels and biomass burning for electricity, which can conveniently be done 24/7 in coal plants, or stand alone facilities. Windmills and solar panels are more fussy, expensive, and their production cycles are intermittent. To get a sense of the scale and impact of using bioenergy, consider that in the United Kingdom alone, current and proposed biomass burning for energy would require over 80 million tons of wood, more than eight times the amount of wood produced for all purposes domestically. There is now an expanding international trade in wood chips and pellets to satisfy this voracious demand from the UK and other European countries. Tree plantations and native forests in the southeastern United States and Canada are being cut, pelletized and shipped to Europe to be burned as “renewable energy.” The wood pellet industry is booming, and fast growing monoculture plantations — which could soon include GE trees, are in great demand. Biochar enthusiasts usually insist they won’t cut forests or convert ecosystems to provide burnable biomass. Just like the biomass electricity industry, they prefer to talk about burning “wastes and residues.” But there is no such thing as “waste” in a forest ecosystem — all is recycled, via decay, to support regeneration and regrowth. In many places, definitions of waste have been expanded to include virtually any wood that is not valued as sawlogs, so timber harvests are more intense and destructive. In agriculture, there are often better options for residues, such as compost, mulch, animal fodder, and bedding. In any case, industrial forestry and agriculture practices have already wreaked havoc on ecosystems. Creating a market for the waste products of unsustainable practices hardly seems a step in the right direction. to heat and power, and vice versa. So far, biochar has not gained the subsidies and investments needed to scale it up commercially. Biochar advocates initially worked to gain funding from carbon markets, arguing that biochar could “offset” fossil fuel pollution, but with the recent decline of global carbon markets they have largely retreated seeking carbon financing. 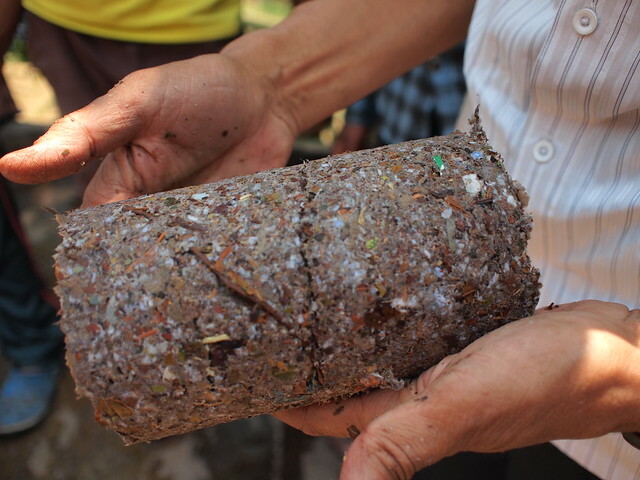 Instead, they are now pushing biochar as a niche product for small-scale and organic farmers. The good news is that most small-scale farmers are closely attuned to what works on their farms and will judge for themselves. The bad news is that they are largely unaware that they are to some extent being used to promote an eventual massive scale-up of the biochar industry. Just as with biomass electricity, biochar enthusiasts claim that burning biomass is “carbon neutral” – that the carbon released during combustion will be reabsorbed by new trees or crops. This claim has been soundly and repeatedly refuted. Trees take years to regrow, assuming that they even do so. Cutting natural forests for biomass electricity, or biochar, or any other use results in a massive “carbon debt” that can take decades or even centuries to repay (i.e. for an equivalent amount of carbon to be reabsorbed in new tree growth). Biochar advocates continue to cling to the carbon neutral myth nonetheless. In fact, they take it a step further. Burying the carbon char in soils, they say, will permanently store some of the carbon, so regrowth will absorb additional (not just replacement) carbon. This, they say, makes it carbon negative. This misguided logic is what lies behind claims by companies like Cool Planet that consumers can clean the atmosphere by driving more. The California-based biofuel and biochar company seeks to make transportation fuels from wood, which they say is “carbon neutral,” and then bury the char residue from their production process, thus renderning the entire process “carbon negative.” By Cool Planet’s logic, driving more could actually reduce carbon emissions. That kind of “win” has an especially outstanding appeal. Cool Planet has won significant corporate backing from BP, ConocoPhillips, General Electric, and Google among others, and is now looking at opening two new facilities in Louisiana. The logical conclusion for biomass electricity or biochar, from a purely carbon accounting perspective is that we should burn things that grow faster and therefore incur a shorter “carbon debt.” GE eucalyptus perhaps? Clearly it is not very helpful to reduce the whole affair of climate change to counting carbon molecules. Forests, soils, ecosystems all are far more than agglomerations of carbon. They are intricate, multidimensional, interconnected, and complex beyond our imaginings and hence beyond our ability to measure, manipulate, and control. The reductionist mindset that carbon accountants engage with is a dead end that only serves to blind us to the full scope and range of Earth as a whole. It fails to see that this planet is more than the sum of its parts. If we are really serious about preserving life on Earth, we will have to relearn how to envision the whole, embrace humility in the face of our ignorance about how life-supporting earth systems work. No amount of biochar, no climate geoengineering tricks, no technofixes or markets or “private sector engagement” or fancy carbon accounting will be a “win win win” for us. By far the winning strategy would be to allow Earth to restore, regenerate and recover, on her own terms.